Russian police call Hermitage Capital chief William Browder in for questioning. The Interior Ministry’s Investigations Department made the announcement at a news conference on the investigation into the purchase of Gazprom shares. The summons was served through the Russian Embassy in London, said Mikhail Alexandrov, the head of the department’s Organised Crime and Corruption Investigation Division. According to Alexandrov, police are planning to file charges at the questioning. 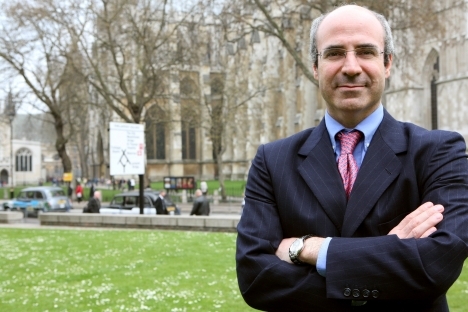 Investigators are unperturbed by the fact that Browder refused to come to Russia after a criminal case was opened against him and his auditor Sergei Magnitsky for large-scale tax evasion. Browder and Magnitsky, who died in pre-trial detention in November 2009, are currently being tried on tax evasion charges in absentia and posthumously, respectively, in Moscow. The Investigative Department alleges that Guernsey-based Hermitage Capital illegally bought more than 131.5 million Gazprom shares when it was illegal for foreign companies to do so (the ban was lifted in 2006). The purchases were channeled through companies set up by Browder specifically for this purpose and whose operations he controlled personally, and the fund did not obtain permission from the regulator to engage in such transactions, while the shares were used not only for personal enrichment, but also for “putting political pressure” on the company’s management, the Investigative Department claims. Hermitage Capital has denied any wrongdoing, claiming that it purchased Gazprom shares legally. Hermitage Capital has said that the criminal prosecution of Browder is linked to the Magnitsky Act, which Browder initiated.